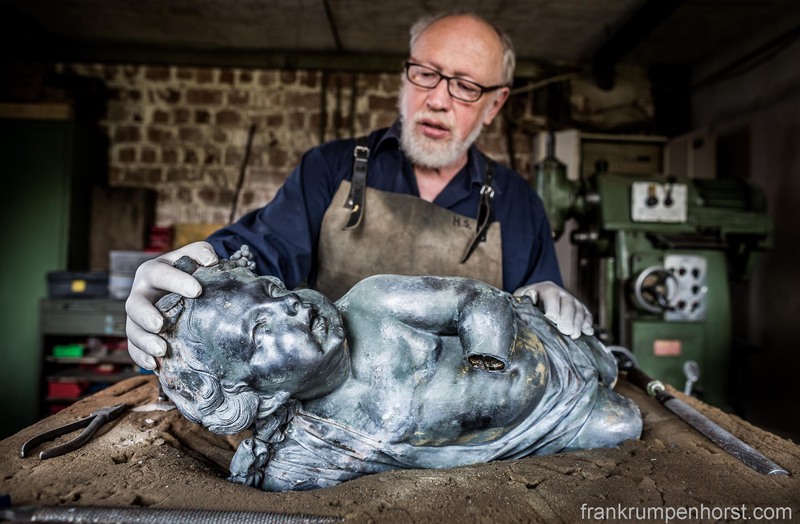 Bernhard Krönung inspects a 17th century putto, made of cast lead, at his workshop near Fulda, about a one-hour drive east of Frankfurt. Krönung is said to be one of the most accomplished masters in the restoration of metal artworks in the country. This entry was posted in artwork, germany, Photo, Photography, restoration and tagged bernhard krönung, cast, craft, fulda, handcraft, handwerk, lead, master, putte, putto, restaurierung, restoration. Bookmark the permalink.